A listing for the Motorola Turbo Charger popped up in the Play Store last month, but it was listed as "Coming Soon." Now you can finally pick one up for immediate shipping. It's selling for $34.99, the same as Motorola's price. 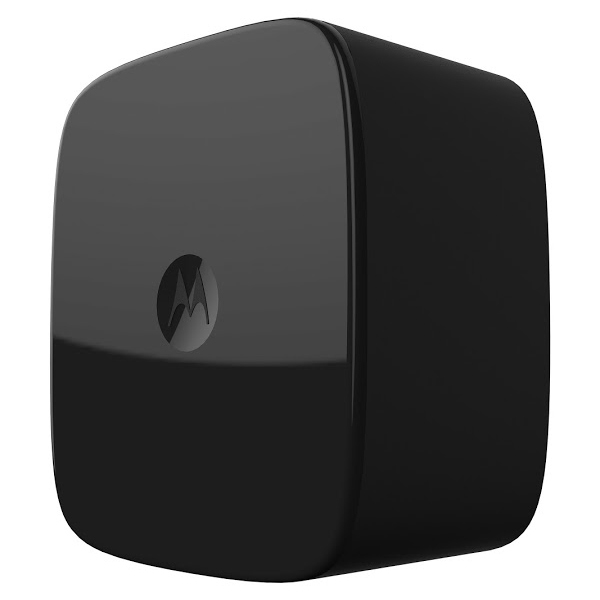 The Turbo Charger is basically Motorola's version of a Qualcomm Quick Charge 2.0 power adapter. It can pump as much as 15 watts of power into a phone with Quick Charge 2.0 support, which includes most flagship devices released in the last year. The Nexus 6 comes bundled with a Turbo Charger, of course, but now you have another place to buy an extra. Other OEMs are starting to sell less expensive Quick Charge 2.0 adapters, but the Moto unit is a good quality piece of hardware. Your call.